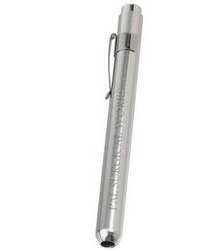 Focusing torch, pen type, no led light, medical standard torch. Pen type torch. AAA battery operated. • 4 in one multipurpose pen • Has a built-in bright LED torch • Whistle useful in emergencies and sports • Folding pen to save space•Available in 2 colors: Black and White Can be customised with name / logo. 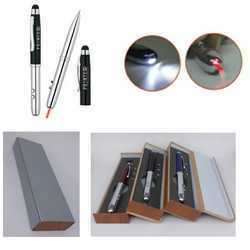 We are offering Pen Torch to our clients. Awards & Brand Merchandise specializes in offering complete promotional solutions to the pharmaceutical industry. Products based on concept and themes of the marketing department are developed and customized to create unique promotional products for their brands. - Anatomical Models and charts. - Patient and Doctor educational products.